2015 was the seventieth anniversary of the end of World War Two, and, for Jews, the seventieth anniversary of the end of the worst Jewish catastrophe in diaspora history. 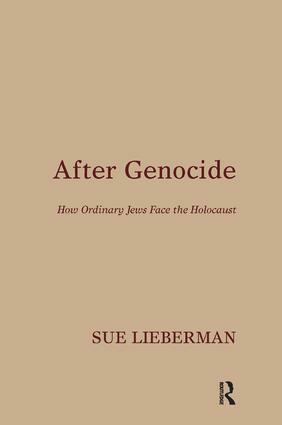 After Genocide considers how, more than two generations since the war, the events of the Holocaust continue to haunt Jewish people and the worldwide Jewish population, even where there was no immediate family connection. Drawing from interviews with "ordinary" Jews from across the age spectrum, After Genocide focuses on the complex psychological legacy of the Holocaust. Is it, as many think, a "collective trauma"? How is a community detached in space and time traumatised by an event which neither they nor their immediate ancestors experienced? "Ordinary" Jews' own words bring to life a narrative which looks at how commonly-recognised attributes of trauma - loss, anger, fear, guilt, shame - are integral to Jewish reactions to the Holocaust.